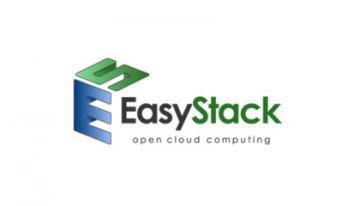 BEIJING, May 18, 2018—On May 15, 2018, EasyStack, leader of the open source cloud computing industry in China, officially unveiled its Chinese brand name at the Spring Launch event held in Beijing, and announced that it has completed Series C+ round financing, attracting investments totaling RMB300 million from multiple RMB funds, which will be primarily used for R&D on core technologies, development of cloud computing products, and building an ecosystem for enterprise solutions. With Series C+ round financing under its belt, EasyStack will also remove its VIE corporate structure within the year. The significance of this really means open source cloud computing has developed rapidly in the Chinese market and won broad recognition from enterprise users in the industry. Founded in February 2014, EasyStack has begun its fifth year in 2018. Armed with an arsenal of innovative technologies and distinctive products, EasyStack has helped establish cloud-based platforms in more than 300 large and medium-sized enterprises. In the first quarter this year, it won the first batch of international clients. According to Chen Xilun, Founder and CEO of EasyStack, the company's next five-year goal is to become "a leading global open source-based cloud computing enterprise". To fulfill the company's strategic goals, he put forward the concept of "three key factors for enterprise cloud computing", namely open source cloud momentum, production and ecosystem leveraging. According to familiar sources, EasyStack has achieved production, the second key factor, and is making plans to leverage the ecosystem, the third key factor. As a highlight of the launch event, EasyStack introduced ECS Stack, an innovative cloud-ready hyper-converged infrastructure product, which will be officially launched during the month of July. Chen said, "Cloud computing relative to hyper-converged infrastructure can be thought of as having a smart operating system relative to a mobile phone device. In the next generation roadmap and market play, the development of hyper-converged infrastructure will focus on the all-in-one (AIO) delivery of software and hardware for cloud computing. Supporting multi-cloud services, microservices granularity based upgrading, and being application-oriented will become the three major product features for hyper-converged infrastructure to be successful in the future of enterprise adoption." Meanwhile, EasyStack also announced the hardware reference architecture for ECS Stack. Sugon, an official strategic partner for ECS Stack, will launch the appliance based AIO integrated solution in the third quarter. In terms of ecosystem and channels alliances, EasyStack now has more than 100 ecosystem partners and over 300 channel partners. An important highlight of the Spring Launch event, EasyStack announced strategic agreement with Boxue Education to jointly establish the EasyStack Boxue Academy. The first training deliverables are CKA and other global container technology certification training courses which will help to cultivate and build critical skills in the Chinese container talent market.